Thirty days ago, on a significant birthday, when I became seventy-five years old (and I wrote about that, too), a book was handed to me as a birthday present. Here it is, pictured above. 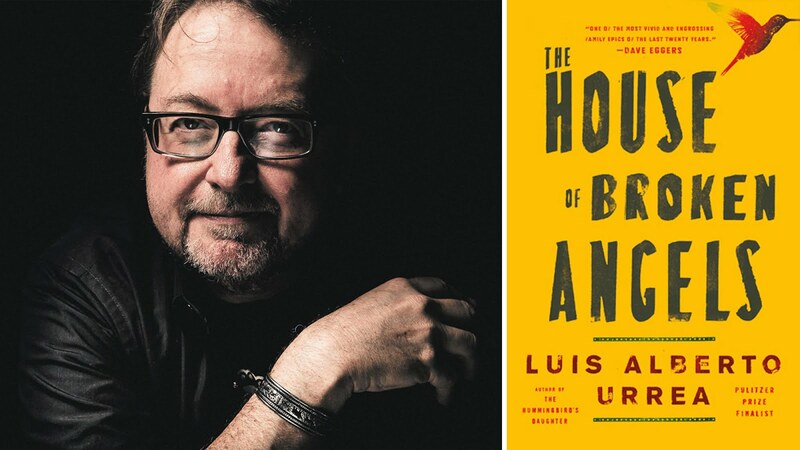 The author, Luis Alberto Urrea, is shown to the left. Note the hummingbird. A parrot figures, too. The story Urrea tells is about the last birthday of a patriarch (actually, his father), so it was an appropriate birthday present for me. Note, however, that I am still hoping for a few more birthdays. The patriarch in this book, as befits a summing up story, was ready to move on. I confess that I had a little trouble getting into this family story at the start. The book is very "Mexicano," though it is written in English. There are really a lot of different family members, and all of them seem to have multiple names. It was almost as bad as those Russian novels where all the characters have at least three names. In the end (and I really do mean at the end of the book), The House of Broken Angels got right to me, which leads me to recommend the book to you.